Transport: via VRL Logistics, Delivery in approx 4-6 days. The aluminum floor is easy to maintain with its exceptional resistance to all types of impact, this is the favorite type of floor for divers and fans of high-performance boats and also it can completely disassembled quickly. Snorkelers love how easy the boats are to use in shallow waters while scuba divers rave about how easy the boats are to get in and out of. Rescue agencies also prefer inflatables. Ideal as yacht tenders, their smooth ride makes them great pleasure boats. Their light weight also makes smaller versions good for camping trips and backpacking excursions. Whether you are heading out white water rafting or just like the idea of having a boat for relaxation, inflatables are an excellent option. They are generally less expensive than traditional boats. Further, since they require little storage space and offer a range of benefits, your toughest decision might be in how to choose the one you like the best! • Safe – These boats are very stable in the water, making them safe for young and old boaters alike. Every buoyancy tube has several air compartments, so it will stay afloat even if one chamber is compromised. • Mobile – You don’t need any special equipment to transport your boat from one campsite to another. The boat is easily taken apart and deflated, so moving it is as simple as putting it in your car. 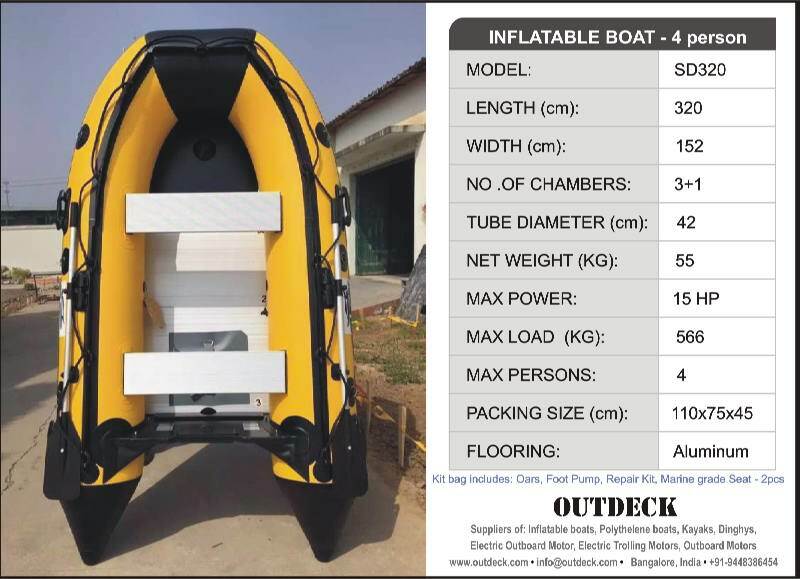 • Greater Load Capacity – Large buoyancy tubes make the load capacity higher than traditional boats of the same size. This allows you to carry more sporting equipment or people when you head out. • Fuel Efficient – If you choose to use an outboard motor, you won’t spend a small fortune in gas for the tank. You can go out and really enjoy your boat without feeling guilty about the cost of gas. • Easy Maintenance – Soap and water cleans your boat, and inflation is easily done with a foot pump. There is really nothing on these boats to break, so you can enjoy yours for many years to come. • Smooth, Comfortable Ride – Not only do those buoyancy tubes allow you to carry larger loads, they also create a wonderful, soft ride. Impacts are well cushioned, and the wide tubes mean that spray from the water is neatly deflected away from you.